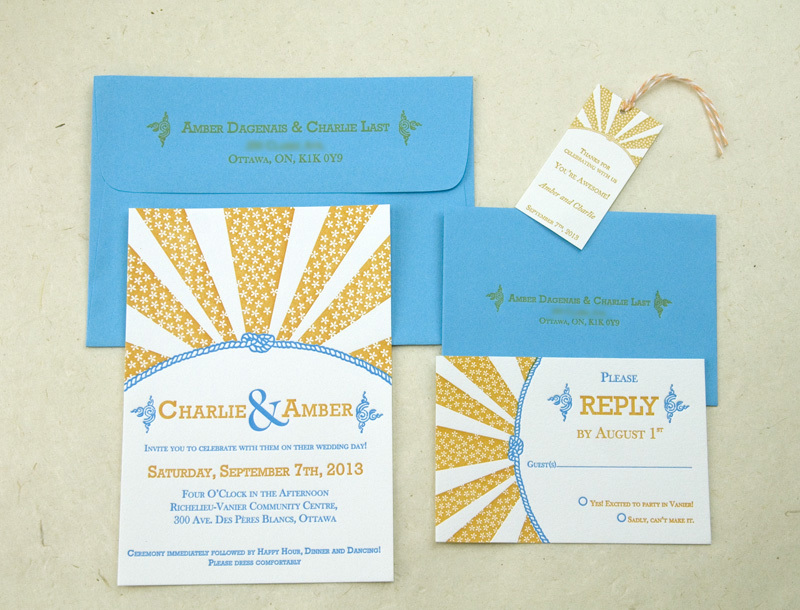 We were absolutely delighted when our good friends Amber and Charlie came to us for their wedding invitations this past autumn. They chose our Heartland invitation and customized it in orange and cerulean blue ink, complete with coloured envelopes for maximum impact in the mailbox. 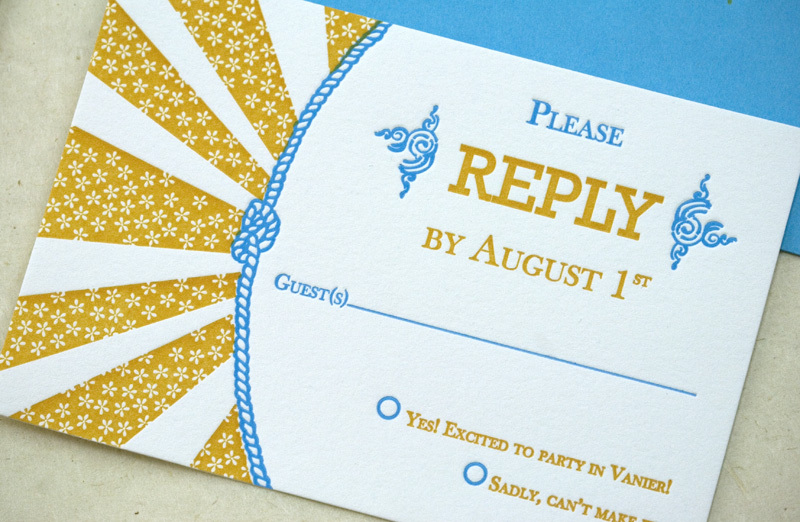 This invitation suited their wedding perfectly, which was informal and a whole lot of fun. 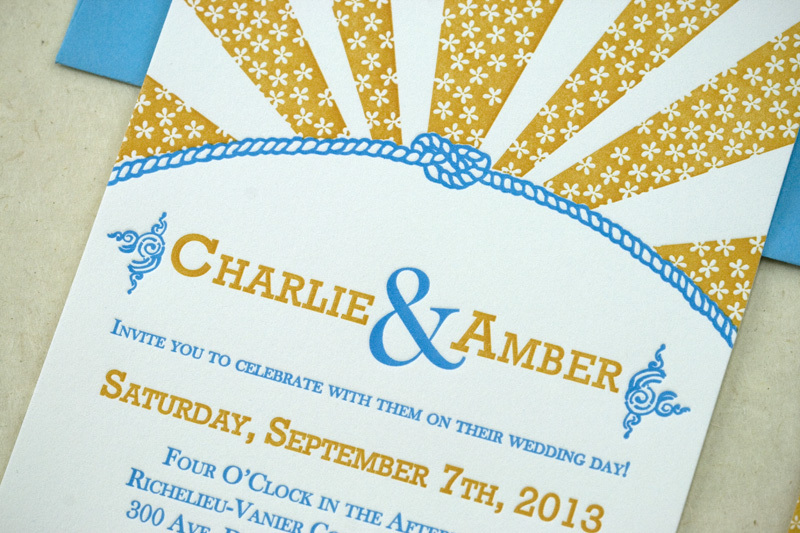 Printed on Crane Lettra 300 gsm pearl white, in Orange & Cerulean Blue.